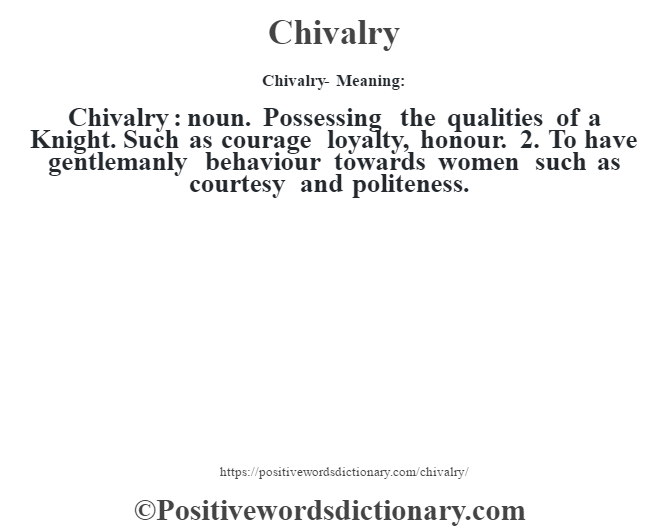 Chivalry : noun. Possessing the qualities of a Knight. Such as courage loyalty, honour. 2. To have gentlemanly behaviour towards women such as courtesy and politeness.